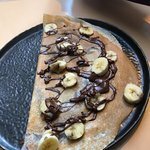 Bisou Creperie is not available through our online partner for your requested time. 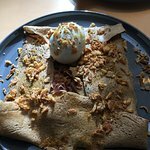 Description: Bisou est une néo-crêperie où l'idée d’origine est de « déringardiser » la galette et d’offrir un cadre agréable sans le carrelage redondant et les nappes à carreaux des crêperies traditionnelles. 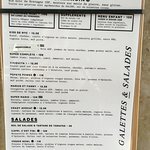 Nos farines viennent toutes de Bretagne et sont certifiées IGP, nos jambons viennent d’Italie, nos fromages sont AOP et nous cuisinons tous nos produits sur place. 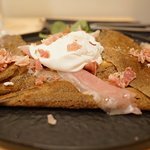 Bisou revisite la crêpe en apportant à la présentation et aux recettes originales de ses galettes un soin tout particulier. 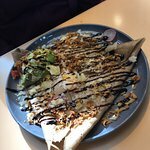 Dear daryl4356, thank you so much for stopping by Bisou Creperie, glad you had a blast. Hope to welcome you back soon at the Passage des panoramas. 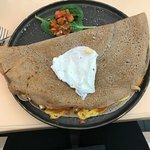 i have been in Paris many times, but I ve never eat some crepes like those!!! just magnifique!good service and funny guys! 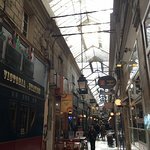 We were recommended to visit the Passage des Panoramas by our hotel receptionist, when looking for a light-bite nearby. It’s such a beautiful arcade, jam-packed with lovely looking restaurants and bars. We had a lovely, casual meal in this Creperie. 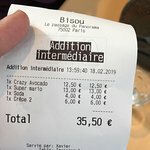 The food is yummy, the service is quick and polite, and the staff don’t mind you trying to practice your terrible French on them! Dear Claire D, many thanks for stopping, loved to have you at Bisou. See you next time at the Passage des Panoramas. 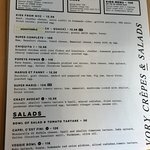 The menu offers several alternatives, including vegetarian crepes. We tried Popeye Power and Chiquita, then Cookie’n’crime for dessert. Ingredients and dough were good, but we preferred the sweet one. A bit pricey. Dear elichem, than you very much for your review, we take proud in selecting the best organic and fresh product. 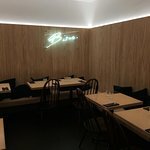 Looking forward to welcoming you again at Bisou in the passage des panoramas. We came here for lunch and the service was excellent. I had the Chiquita and my wife had the Marius and Fanny (giggle). Both were so good we decided to have a sweet crepe to finish. We highly recommend the Madagascan vanilla ice cream with it. Dear Jona, Thank you so much for your kind words. 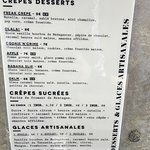 We hope to welcome you and friend again soon at Bisou Creperie, Passage des Panoramas. 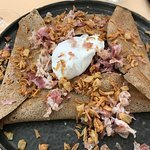 Been to Bisou Creperie? Share your experiences!